East Coast Pools Inc. offers professional vinyl lined swimming pool conversions. Not only can we convert your existing vinyl lined pool to a modern fiberglass swimming pool, we can do it fast! 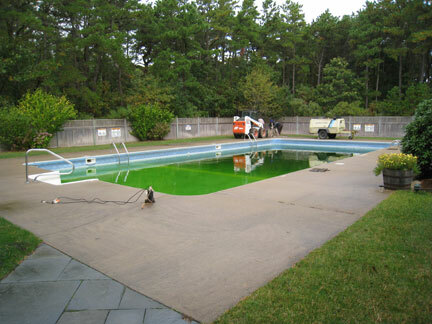 Total conversion process normally can be done in less than five days for residential swimming pools. Vinyl Swimming Pool Liners require a great deal of Time, Energy and Money to Maintain! Not to mention the aggravation! Vinyl Swimming Pool Liners frequently leak! 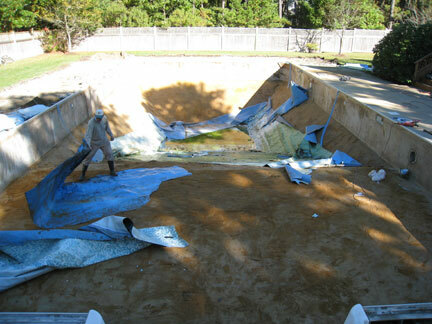 Vinyl Pool swimming pool Liners need constant patching and repairing. Vinyl Pool Liners require refilling the pool more frequently. Trying to keep your vinyl liners clean costs time & money. Pools with Vinyl Liners aren't as chemically stable. The Result = Wasted Time, Wasted Steps & Wasted Money! We can help with a Vinyl Liner Replacement solution! 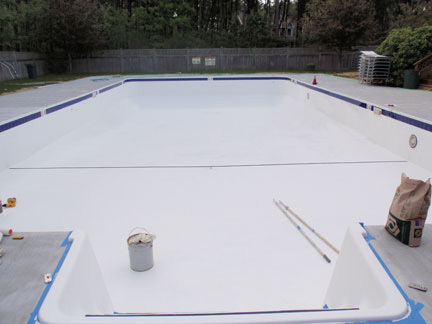 East Coast Pools Inc. can eliminate all those vinyl liner nightmares by converting your existing swimming pool into a one piece fiberglass swimming pool. Fibreliner is the “world’s strongest liner” for commercial or residential swimming pools which allows East Coast Pools Inc. to convert your vinyl liner pool into a one piece fiberglass swimming pool that will actually be ten times as strong as a one piece fiberglass pool insert and seventeen times more flexural strength than a concrete swimming pool and will never have to be resurfaced again, thus eliminating all those high maintenance costs associated with vinyl liner swimming pools. Vinyl liner replacement converting the old vinyl lined pool to a permanent fiberglass pool. 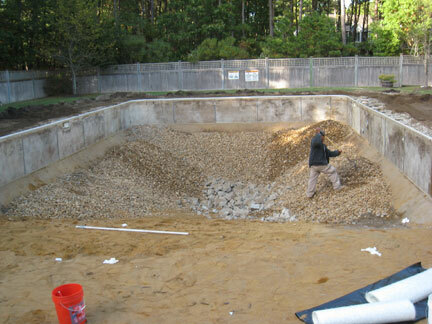 East Coast Pools Inc. raised the depth from twelve feet to six feet allowing more patrons to utilize the swimming pool. This conversion included a new plumbing system, compliant main drain system, new suction and return lines, water feature, lights and a new concrete deck with a winter cover. 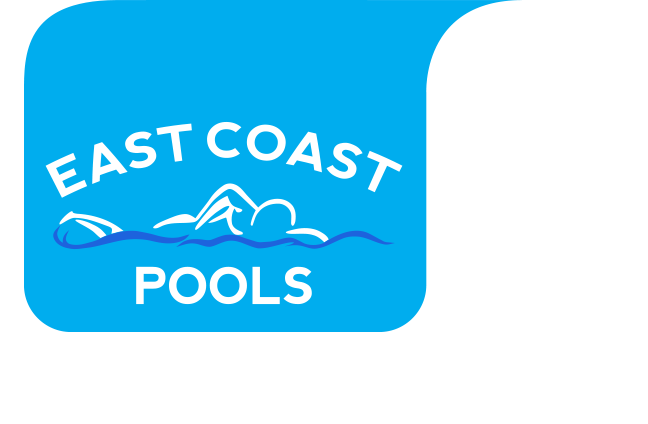 East Coast Pools, Inc. can replace that high maintenance, high costs vinyl liner with a permanent, watertight fiberglass one-piece shell that saves you Time, Steps, Money and a whole lot of aggravation! 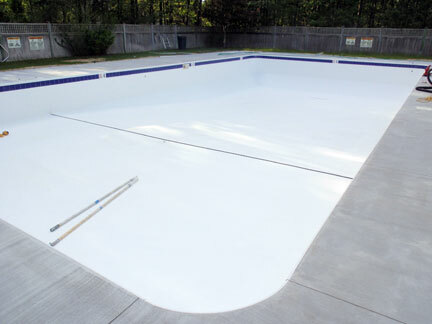 Contact East Coast Pools, Inc. today for a professional replacement of your old vinyl liner and see how you can stop wasting time, steps and money. © 2019 East Coast Pools, Inc. All Rights Reserved.